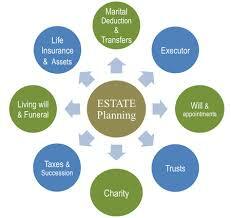 People who are not fully informed often reduce estate planning to the creation of a last will. While it is true that a last will can be used to facilitate postmortem asset transfers, this leis not always the best choice. Let’s look at some of the reasons why you may want to consider an alternative to a last will. High net worth individuals may be exposed to the federal estate tax. In 2015, the estate tax exclusion is $5.43 million. Asset transfers that exceed this amount would potentially be subject to the estate tax. 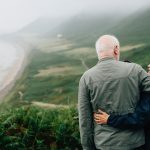 If you keep direct personal possession of your property and arrange for its transfer through the terms of a last will, this property would be part of your taxable estate. However, there are alternatives that would provide estate tax savings. Asset protection is important to many individuals, because we do live in a litigious society. If you use a will to transfer property that you own directly, you would obtain no asset protection for you or your beneficiaries. It is possible to use certain types of trusts that shield assets from creditors and claimants. People with disabilities often rely on need-based government benefits. To qualify, they must be able to prove that they have very limited financial resources. A direct inheritance through the terms of a last will could impact benefit eligibility. A special needs trust can provide for a loved one with a disability without jeopardizing eligibility for government benefits. When a will is used to transfer personal property, it must be admitted to probate after the death of the testator. Probate is intended to provide certain protections, but it comes with some pitfalls. Probate is a time-consuming process, and the heirs to the estate cannot receive their inheritances while the process is underway. It can also be expensive, and probate provides a window of opportunity for disgruntled parties who may want to challenge the estate. 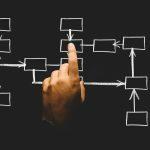 There are various different estate planning devices that can be used that would facilitate asset transfers outside of probate. If you would like to obtain more information about the efficacy of last wills, download our special report. We are offering this report to our readers on a complimentary basis at the present time, and you can access your copy through this website. To get your copy of this in-depth special report, visit this page and follow the simple instructions: Free Report on Last Wills. If you would like to schedule a free consultation, click this link and send us a message: Ashland KY Estate Planning Attorneys.